Various Glass Balustrading to the new entrance lobby area, technicians’ area and classrooms. 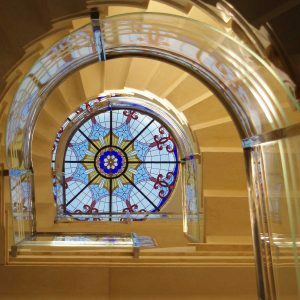 Ion provided a range of safe, durable and aesthetically pleasing glass balustrades for Cheltenham College, using a variety of fixing systems from their diverse range of balustrade designs. Ion’s team of Surveyors and Glass Technicians completed a site assessment to confirm the most suitable balustrade fixing for each area of the building. 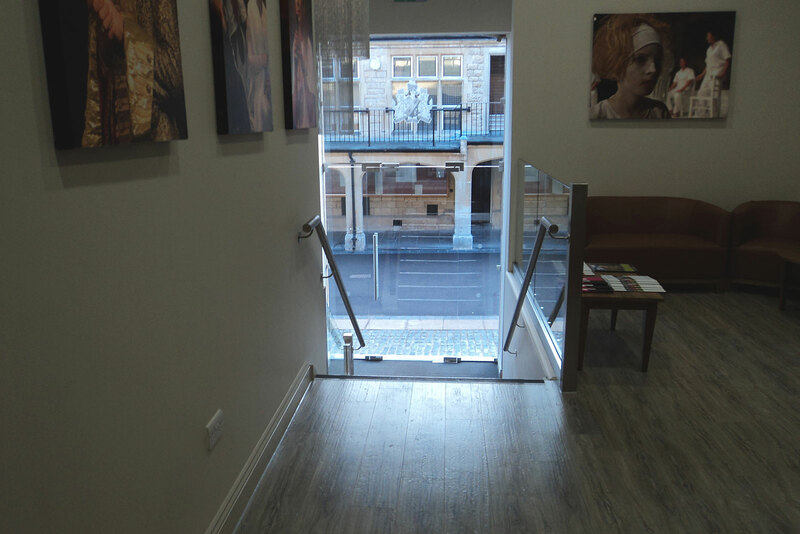 Ion then installed the preparatory balustrade metalwork and made templates to establish the balustrade sizes for manufacture. 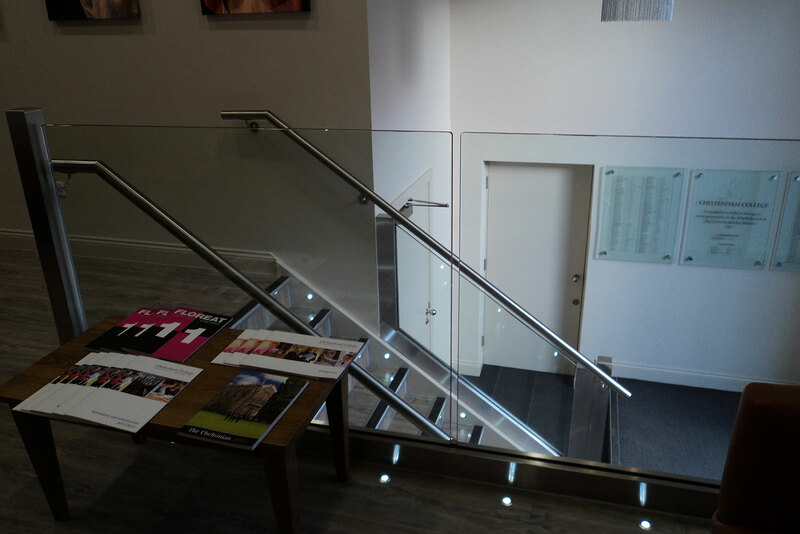 New Entrance Lobby Area: Ion installed 15mm toughened glass balustrades using the surface mounted channel system, with brushed stainless steel handrail to the wall edge. 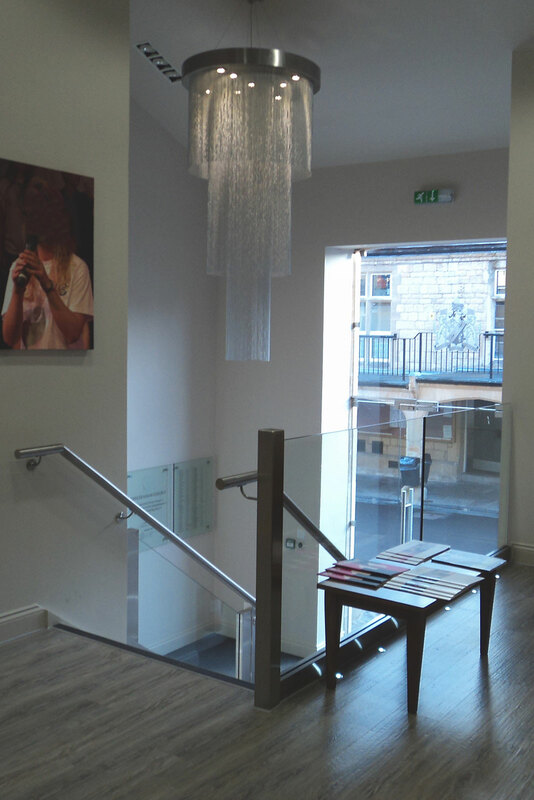 This system provides a robust and attractive banister design for the entrance area to the College. 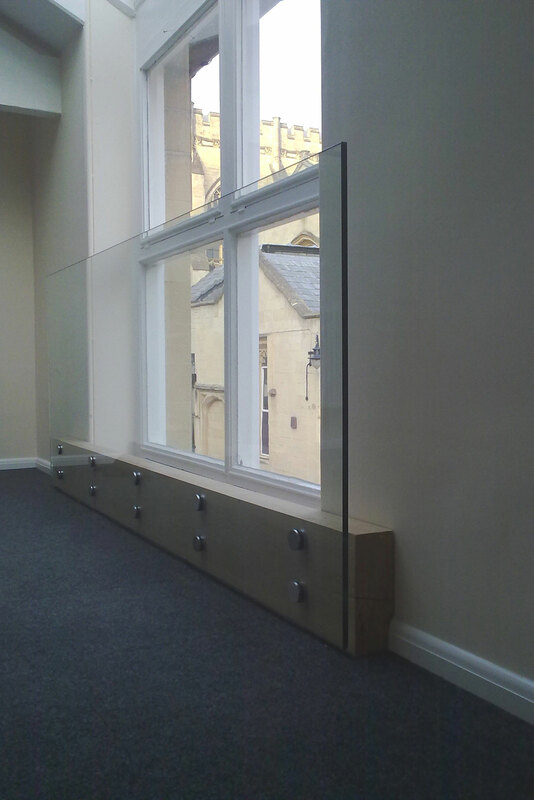 Balustrade to Classroom Window: Ion created glass balustrading screens to restrict access to a full length window. 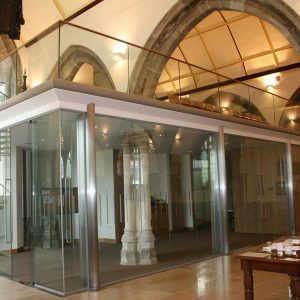 The 15mm clear float toughened glass balustrade is bolted to a solid oak beam and secured back to the walls at each end for stability. Technicians’ Area of Theatre: The balustrade to the Technical area utilises a combined channel and post and rail system to create a sturdy design for the busy thoroughfare. 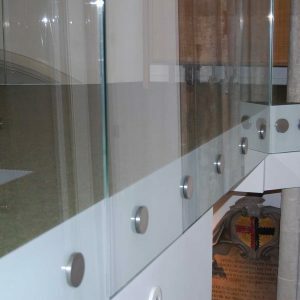 15mm toughened balustrade panels are fitted into Ion’s structural extruded aluminium balustrade channel bolted into the existing structure of the building. Channels are fitted with brushed stainless steel decorative cover plates.